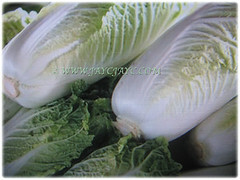 Chinese Cabbage or Napa Cabbage is one of the most important vegetables grown in China and Japan. It is widely cultivated in the above-mentioned countries for its edible leaves and stem. 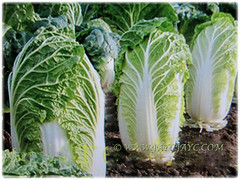 Plant Peking Cabbage in your garden as you will be ensured that they are pesticide-free. Common Names: Chinese Cabbage, Napa Cabbage, Peking Cabbage, Celery Cabbage. Etymology: The genus name Brassica is from the classical Latin name for cabbage. The specific epithet pekinensis means relating to turnips. Plant type: An annual to biennial edible vegetable plant. 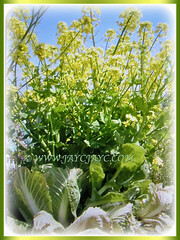 Features: Brassica pekinensis is from the genus Brassica that consists of about 37 species of flowering plants. It is an annual to biennial plant derived in cultivation from Brassica rapa. Growing to around 45 cm tall from a taproot that is not fleshy, it usually has more than 20 basal leaves, forming an oblong or subobovoid, compact head with strongly flattened petioles. Chinese Cabbage is a large, tight-headed, fresh green that looks somewhat like a pale romaine lettuce. The flavour is sweeter and milder than traditional cabbage. Its large and oblong leaves are crinkled and very tightly wrapped the head. It is compact with dark green to a very pale green leaves and a broad leaf midrib. Heads grow upright. 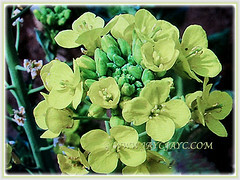 Flowers of the Chinese Cabbage are the familiar 4 yellow equal petals arranged crosswise of the cruciferous family. Full size heads grow about 50 cm long and fill out to 12.7 or more cm in circumference. Heads of mature plants can weigh up to 4.5 kg. 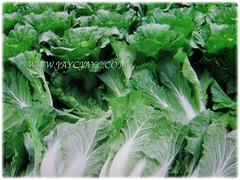 Culture (Care): Brassica pekinensis or Chinese Cabbage grows easily with least maintenance. Moisture: High to medium water needs. Water thoroughly and regularly, especially during the hot seasons. Drought will cause bolting. Soil: Humus-enriched, alkaline and well-drained soils. However, it tolerates a wide range of soil types. 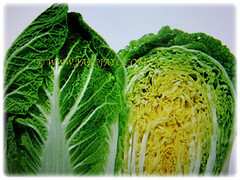 Others: Chinese Cabbage is sensitive to transplant shock as it does not like root disturbance. Feed once fortnightly with a fertilizer high in nitrogen, such as fish emulsion or soy meal. Generally free from serious garden pests and diseases. However, do watch out for the cabbage worms, cabbage loopers, flea beetles, slugs, cabbage root maggots, clubroot, black rot, bacterial rots, powdery mildew and leaf spot. 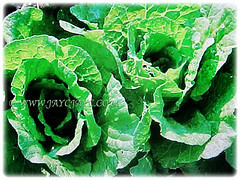 Brassica pekinensis or Chinese Cabbage prefers coolish weather during their growing season. A temperature range of 13-20°C is ideal. It is an annual to biennial plant and may survive the winter under cover in zones 4-7 but will quickly bolt to seed in the spring. It takes about 70-80 days to mature which is why it grows better in the fall than the spring. Early spring sowings can be hit by frost or cold nighttime temps. This can signal that it is time to start setting seed and cause the plants to bolt. If you get past that hurdle, the warming temperatures will also tell the plants to stop growing and focus on going to seed. Keep soil moist to ensure vigorous growth. Although it’s not impossible to grow Napa Cabbage in spring and early summer, planting in mid-summer allows the plants to mature as the days cool in the fall. If you choose to plant in the spring, either direct sow or start seed indoors about 4-6 weeks before your last frost date. Hold off sowing outdoors until after your last frost date. Harvest as soon as the first heads begin to get firm. When the plants are almost mature, they may be tied with string near the top of the head to blanch the inner leaves and make them more tender. 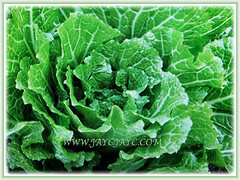 Usage: Brassica pekinensis or Chinese Cabbage is an annual to biennial edible vegetable plant. Leaves are crisp with a naturally sweet taste, it is best eaten cooked or raw in salads. The plant can be eaten as a young seedling or left to grow into a mature plant. Its flavour is quickly ruined by prolonged cooking. Leaves can also be dried for winter use. Fresh leaves do not store well and are best used within a day or two of harvesting. Flowering shoots can be eaten raw or cooked and they are sweet and tender. 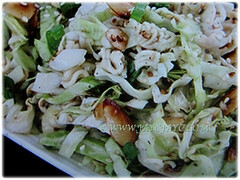 Napa cabbage is a very versatile vegetable. It can be used in recipes calling for either regular cabbage or bok choy. Individual leaves are often used as wrappers for steaming or blanching. It also makes a wonderful Korean pickled Kimchi. Grilling it brings out its natural sweetness. Leaves can be dried and used in soup, stir fried, steamed, as stuffing or filling, or fresh in salads. Its leaves are known to be depurative.